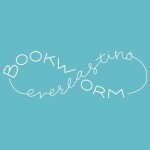 Last month I read a chick lit book that ended up both unrelatable and unenjoyable. Fortunately, The Young Wives Club was nothing like that other book and had everything I look for when I read a chick lit. It had relatable characters, empowerment, happy endings, and characters you wanted to root for. I was easily able to see a little bit of myself in all four of the young wives, especially having been married at a young age myself. There was Laura, Claire, Madison, and Gabrielle each with a life altering problem. Life isn’t easy and marriage always takes a toll. From beginning to end I was able to see their characters grow so much. They matured and learned valuable life lessons. What I loved the most about The Young Wives Club was their friendships. At no point did I feel like they were condescending towards each other or better than one another. I think they all knew they had their issues and the best thing to do was be there for each other. I loved that! Too often female friendship is shown with a bunch of back-stabbing and conniving vengeance. That wasn’t the case with these four. It may come as a surprise that The Young Wives Club wasn’t heavy on the romance. There was enough since they all had men in their lives. Most of the men were unworthy of these amazing women, but I think that was the point of this book. It brought self awareness to each woman and the long time cliche that you must love yourself first. Though, really, it’s important to love yourself before loving another. 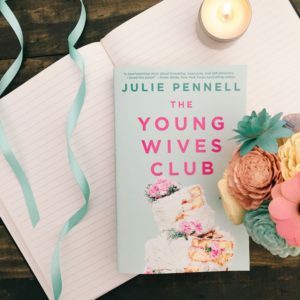 The Young Wives Club reminded me a little bit of a younger version of The First Wives Club. There were moments of frustrations, but at the end of the day I knew these women were going to go places. Such a great review!! I love the cover of this book. Isn’t it the prettiest? I love it too.